S. AZEEZ BASHA AND ANR. maintain-When arises-Fundator perficiens, rights of. Committee #as started and it collected the necessary funds. University overriding those of the Court of the University. account of the coming into force of the Constitution. powers of the Visiting Board were conferred on the Visitor. University no longer remained the supreme governing body. duties conferred or imposed on the Court. script or culture under Art. 29, were violated. apply to the University. [854 H]. A; 849 C-H; 850 D-H; 851 A-B, C-D; 852 D-E]. institution is established by the religious denomination. be read conjunctively. [855 B-C, E-F]. acquiring or administering movable or immovable property. claim to administer that property by virtue of Art. 26(d). and that right has not been touched by the 1965 Act. right to acquire, hold and dispose of property of their own. and dispose of property of their own. [857 D-G]. 1920 Act came into force. (857 H; 858 F-H]. their language, script or culture which they might have. M.R. 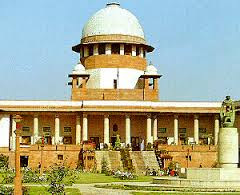 M. Abdul Kari, K. Rajendra Chaudhuri, and K. R.
Chaudhuri, for the petitioners (in W. P. No. 84 of 1966). (in W. P. No. 174 of 1966). W. P. No. 188 of 1966). W.P. No. 241 of 1966). W.P. Nos. 84, 174 and 242 of 1966) and the respondents Nos. 1 and 3 (in W.P. No. 188 of 1966). R. H. Dhebar for R. N. Sachthey for the respondent On W.P. any part of that right they are ultra vires Art. 30(1). these petitions takes in its sweep all these six Articles. administered by the authorities established by the 1920-Act. and when the occasion arises. was to be given in Muslim religion and traditions also. College, Aligarh hereinafter referred to as the M.A.0. purpose of establishing a teaching University at Algarh. societies, one of which was connected with the M.A.0. and vested in the University established by the 1920-Act. the Court" and they happened to be all Muslims. Further s.
had been named therein instead of such society or Committee. was vested in the University as established by the 1920-Act. confer degrees and other academic distinctions. any other University incorporated under any enactment". of a University but they are not material for our purpose. with the Lord Rector who was the Governor-General of India. belong to the Muslim community. the case might.be, on any recommendation of the Lord Rector. University rested with the Governor General in Council. which had to be consistent with the Statutes and Ordinances. for the firs meeting of any authority of the University." Council in the matter of establishment of the University. This brings us to the end of the sections of the 1920-Act. the Governor General in Council. years from the commencement of the Court. the Lord Rector, the University was to have a Visitor. Executive Council as the case may be. Constitution; and it is to this question we turn now. administering it before the Constitution came into force. following observations at p. 414 for they appequally to Art. effectively and irretrievably lost to it, Art. 26 cannot be successfully invoked." S.C.R. 995. (2)  1 S.C.P. 383.
which are not universities and those which are universities. Both teach students and both have teachers for the purpose. (1)  1 All E.R. 559.
by such a university should be recognised by Government. conferred by any university established by it. incorporated it. The fact that it was based on the M.A.0. established by the Muslim minority. read the 1920-Act as a kind of contrast. people, etc., do ordain and establish this constitution. the said university were not to be recognised by Government. versity whose degrees would be recognised by Government. any amendment of the 1920-Act would not be ultra vires Art. to the wishes of preponderating Muslim opinion'. membership of which was not confined only to Muslims. member nominated by the Minister in charge of Education. riding powers over the administration of the University. does not apply at all to the Aligarh University. The next argument is based on Art. 26 of the Constitution. such institutions are institutions for charitable purposes. within Art. 26(a) as institutions for charitable purposes. Even so we fail to see how Art. 26 helps the petitioners. it is in that event only that it can claim to maintain it. arises of its right to maintain it within the meaning of cl. and therefore cannot claim to administer any such,property. for purposes of Art. 26. But it cannot lay claim under Art. property when the Constitution came into force. violated Art. 25 of the Constitution. us on the basis of Art. 29.
ground that it is hit by Art. 14 of the Constitution. and,dispose of property and to form associations or unions. The argument has merely to be stated to deserve rejection. petitioners have a right to file these writs on its behalf. breach of Art. 31(1) has therefore no force. circumstances we make no order as to costs.